Donald Trump is mad at Attorney General Jeff Sessions and he’s attacking the lawmaker for the illegal activities of other officials who work for the Republican Party. Trump on Sunday mounted a massive attack against Sessions, blaming him for allowing charges to be brought against two GOP congressman. Trump believes the charges could jeopardize Republican chances in the upcoming November mid-term elections. 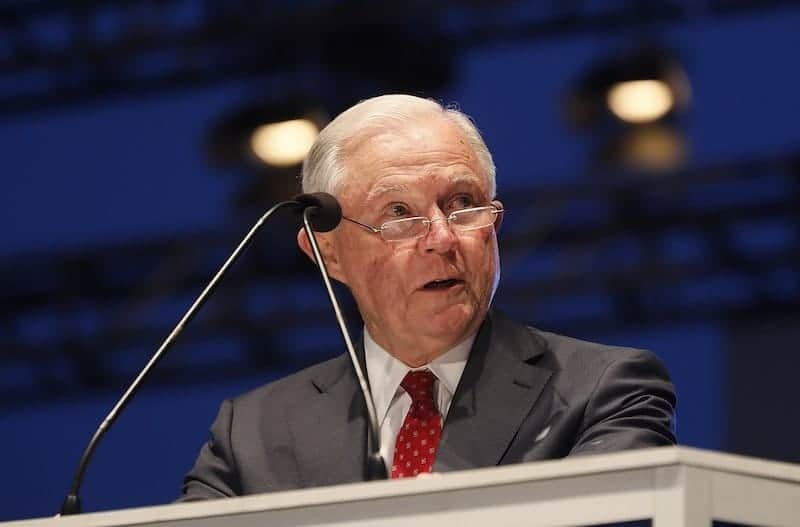 “….The Democrats, none of whom voted for Jeff Sessions, must love him now,” Trump continued. Trump’s second tweet is a lie. Democratic Senator Joe Manchin of West Virginia voted for Sessions when he was confirmed as attorney general by a 52-47 vote in February 2017. The President’s tweets about various indictments brought against California Rep. Duncan Hunter who misused more than $250,000 in campaign funds and then threw his wife under the bus, and Chris Collins of New York who was indicted on insider trading and wire fraud. Jeff Sessions was an earlier supporter of Donald Trump which likely earned him the Attorney General role. However, Trump has been at odds with Sessions after the lawmaker recused himself from the Russia investigation after it was revealed that he did not disclose to Senators that he held meetings with a Russian ambassador during Trump’s election campaign. Most political models are predicting that the Democrats will take back the House in November, a move that will allow them to begin impeachment proceedings against President Trump.